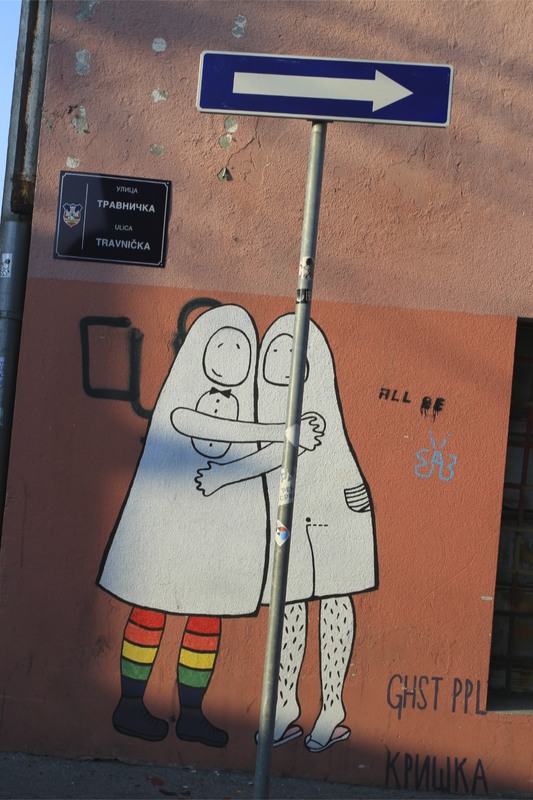 There is graffiti everywhere in Belgrade. 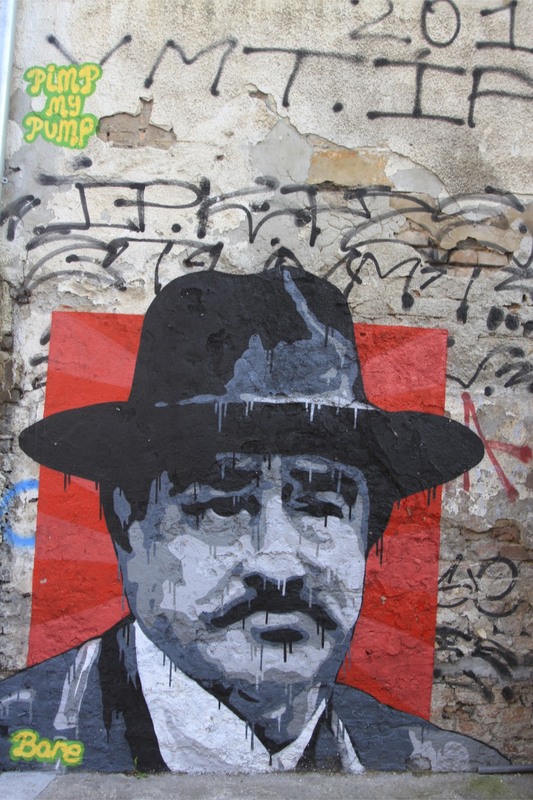 It’s a city that would keep former New York Mayor, Rudolph ‘Zero Tolerance’ Giuliani, awake at night. 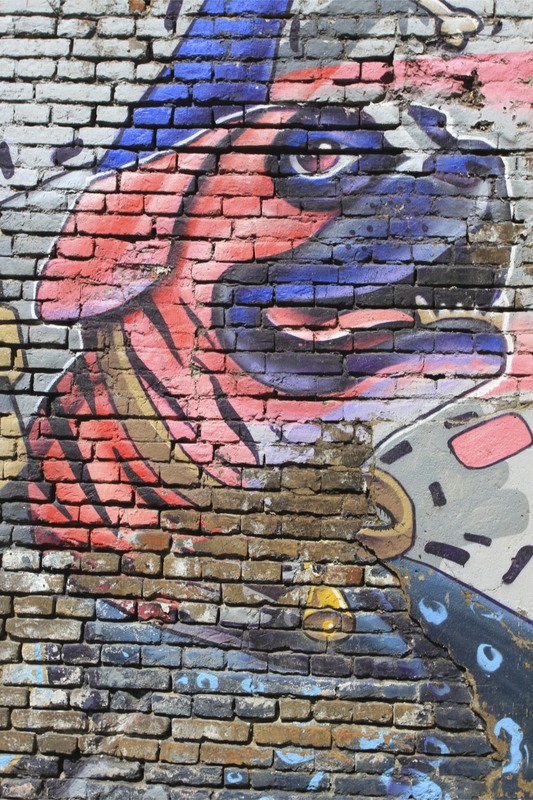 Although the theory that graffiti and broken windows in neighbourhoods leads inexorably to an increase in serious crime, seems to be debunked in Belgrade. It’s a city that feels safer than a lot I’ve visited. 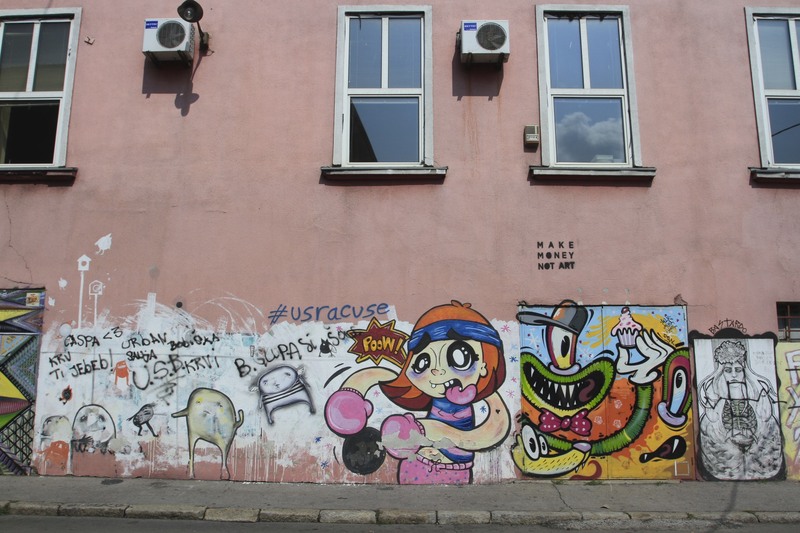 The majority of Belgrade’s graffiti is of the usual ‘tagging’ sort that I neither find interesting or aesthetically appealing. 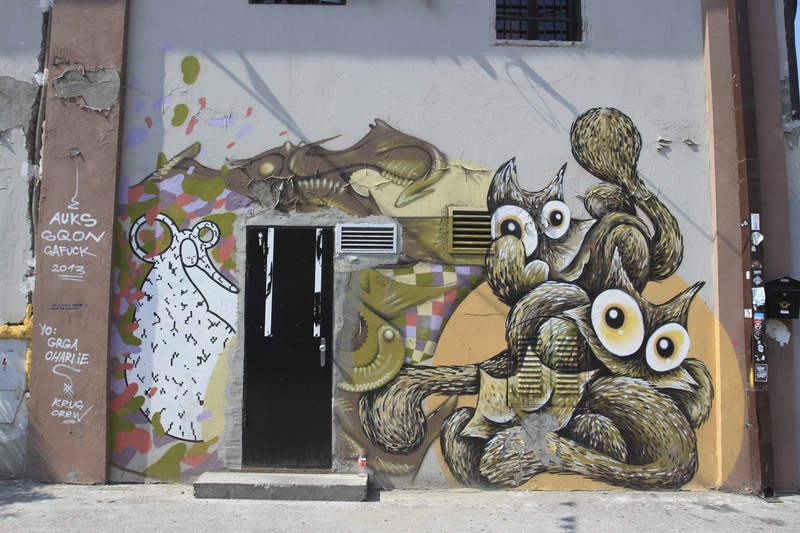 A number of areas around the city have fabulous collections of thought-provoking street art though. 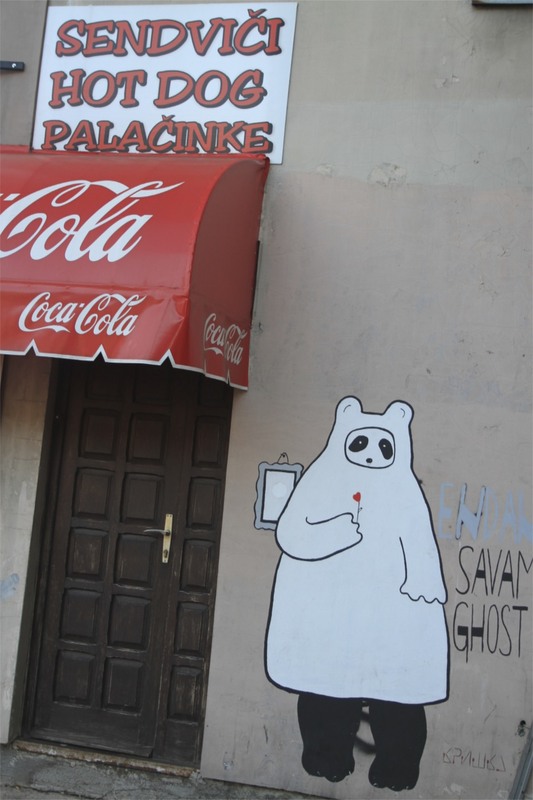 The Ghost People of Savamala are just one example. 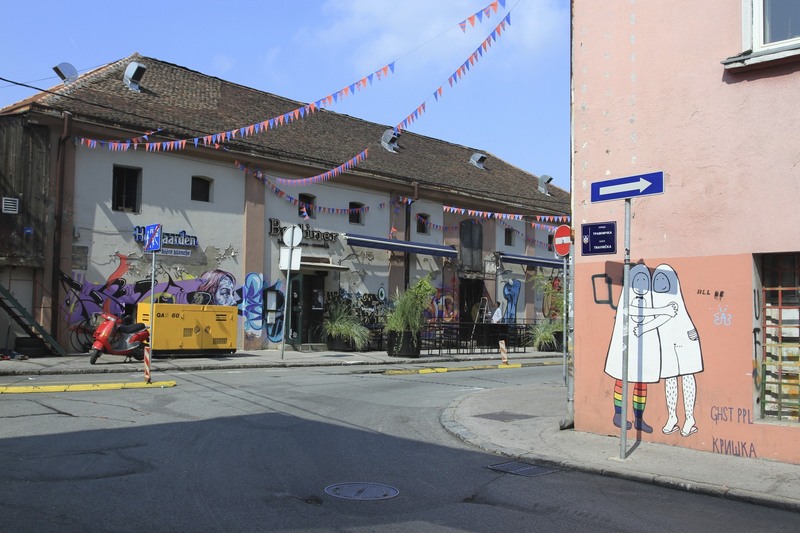 Savamala is a run-down district that has become a vibrant artistic and cultural hub, as well as a nightlife hotspot. 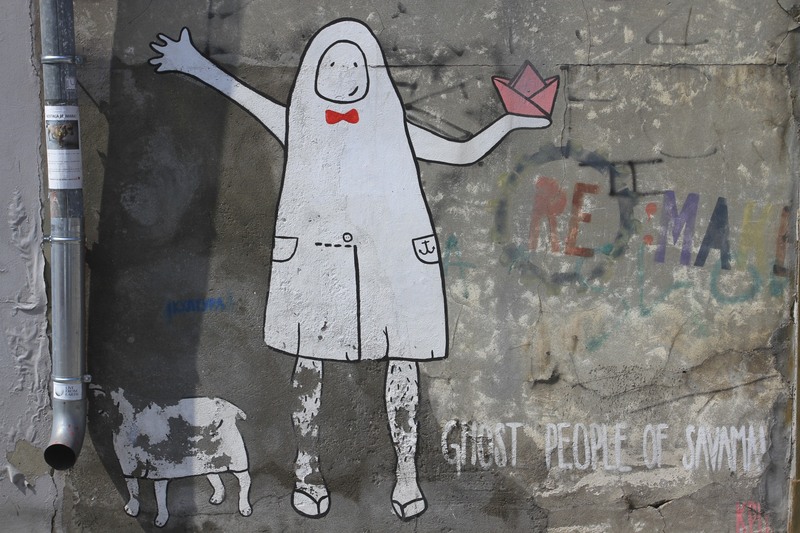 The Ghost People are the work of artists Tijana Tripkovic and Barbara Dimic, who use them to highlight the plight of local people being pushed out of the area by a planned redevelopment: the Belgrade Waterfront Project. 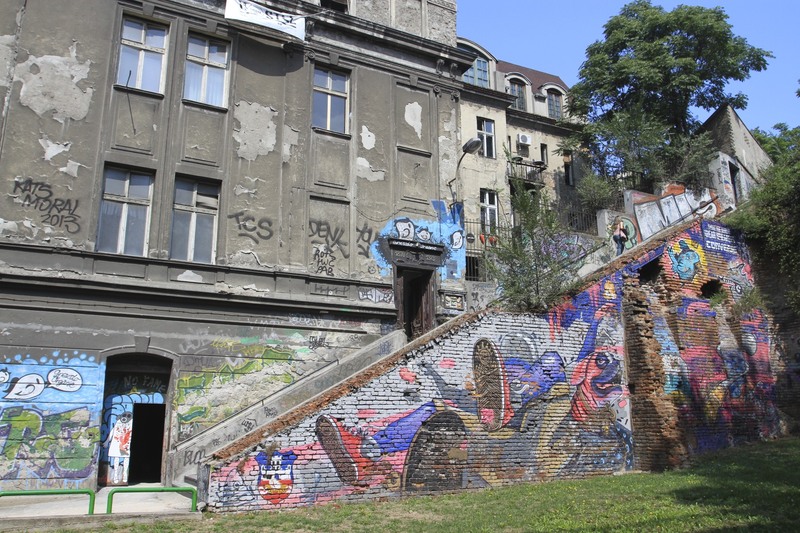 Financed by a Dubai-based firm, Eagle Hills, the project will ‘transform’ Savamala from an atmospheric neighbourhood in need of some love and a lick of paint, into Dubai by the Danube. 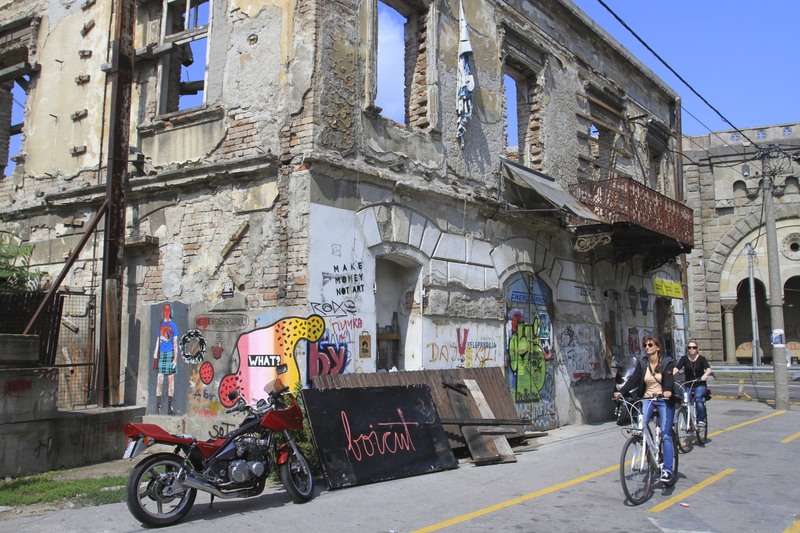 Savamala’s culture and traditions will be erased by towers of glass and steel housing shopping malls, over-priced ‘luxury’ apartments and office space the city won’t be able to fill. Everyone I spoke to said the Waterfront Project got permission because a corrupt government had been influenced by money. Most people were blunter than that. Rudolph Giuliani would probably be in favour, but what price the loss of culture and tradition when local people are displaced? After visiting this wonderful area, it would be a terrible shame to lose such a vibrant place to international blandness. 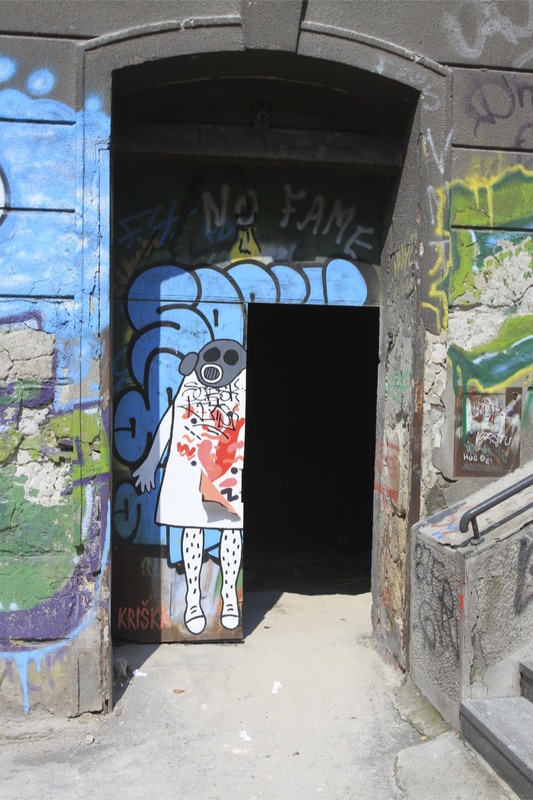 In other parts of the city are more street art hotspots, but Savamala is unique in attracting some of the most creative street artists. 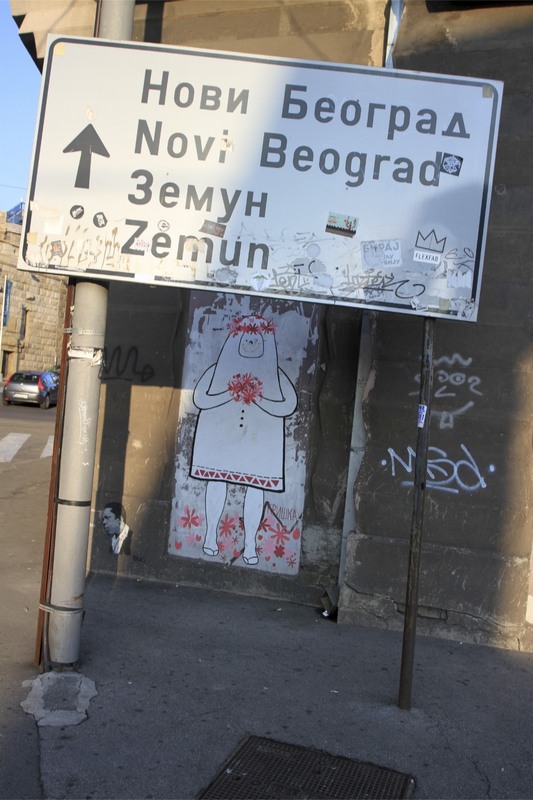 The Brankov Most bridge, connecting old Belgrade with New Belgrade, cuts through the district, giving it an even grittier urban feel. 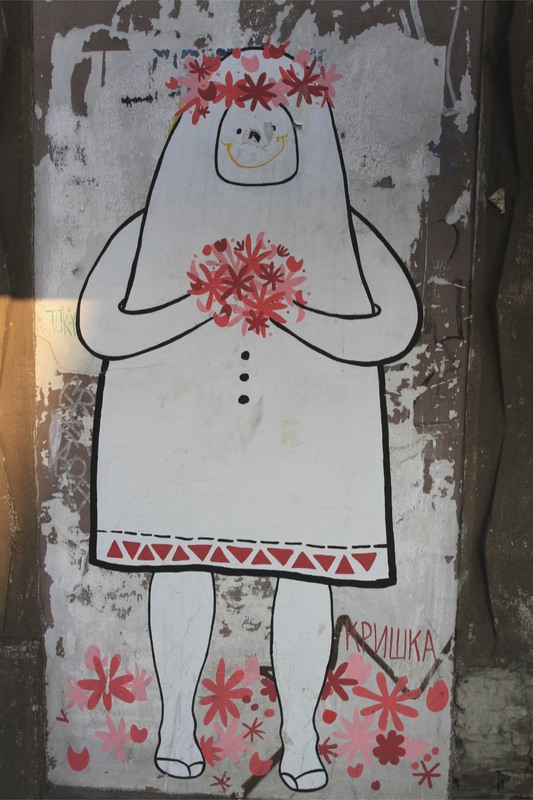 Wander under the bridge and you find the giant La Santa de Beograd covering the side of a four storied building. 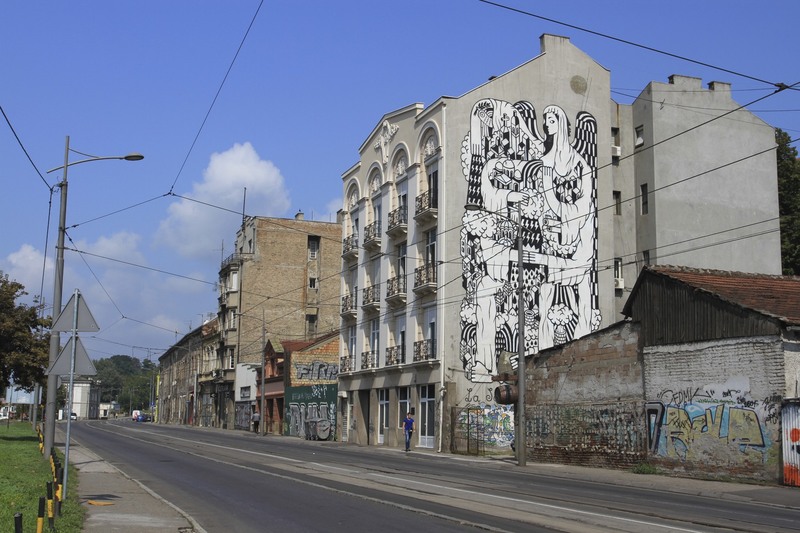 Symbolising the constant destruction and rebirth of Belgrade over the centuries, La Santa de Beograd by artist Giom Olbi Remed is a dramatic sight, whether viewed from the road below or from the Brankov Most. 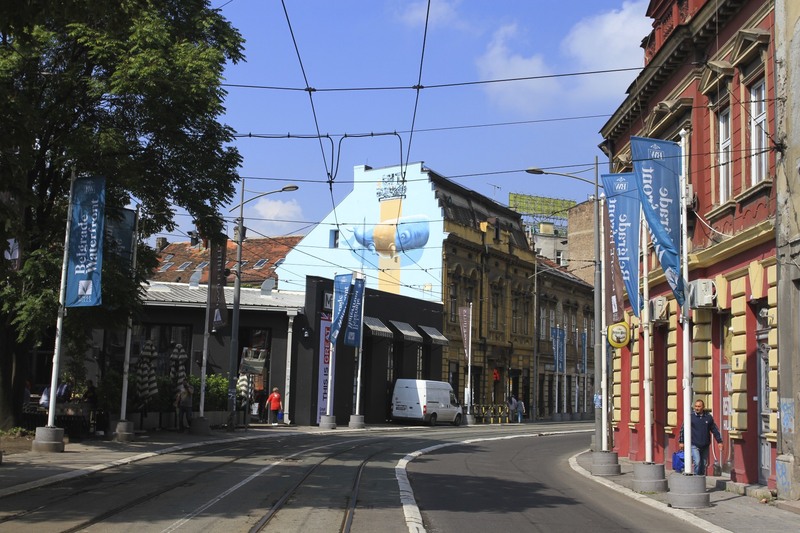 It’s become an iconic feature of Belgrade’s cityscape. 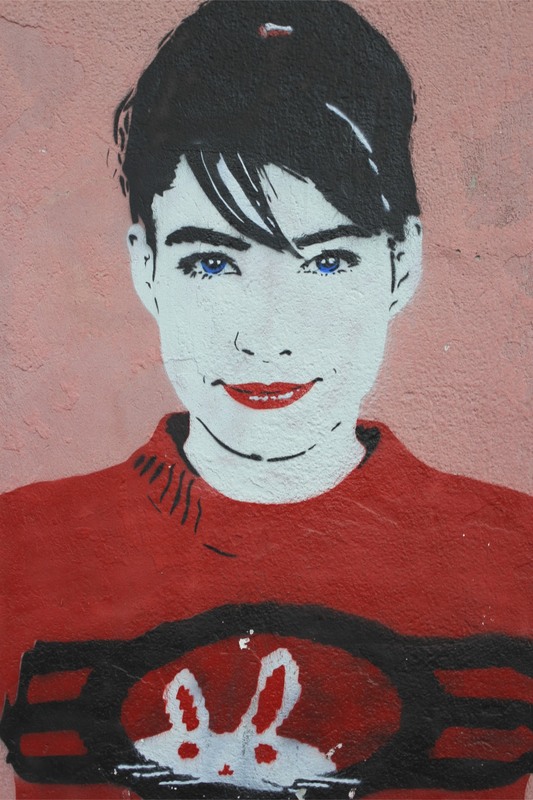 Nearby are stairs leading up to the top of the bridge, the whole side covered in yet more street art. 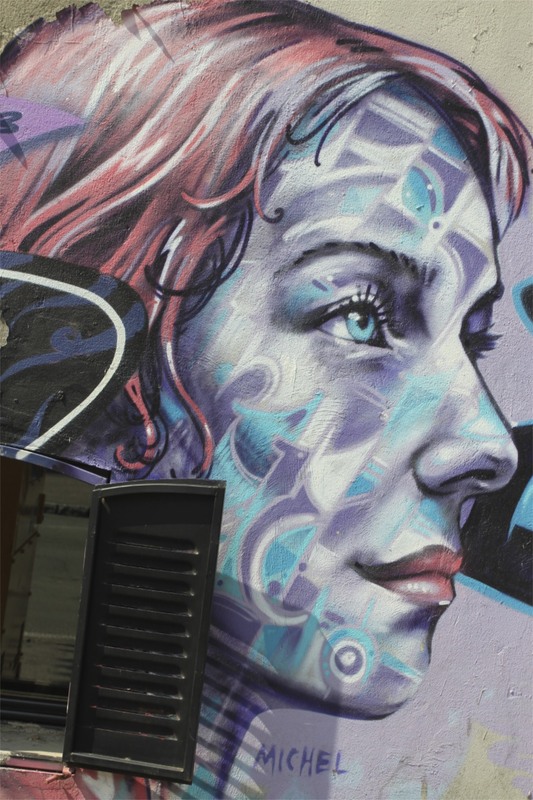 This area feels similar to the Hoxton area in London – well the Hoxton area of 15 years ago when Banksy was still a street artist rather than an international celebrity. 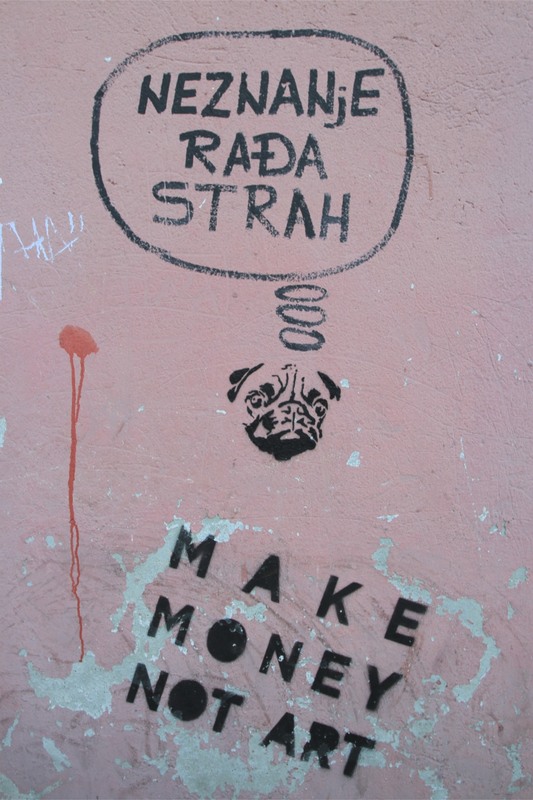 I like that about it but, just like Hoxton, it seems Savamala is going to get gentrified.